Junior Firefighter helmet - spacekids - space toys, dressing up costumes, kids spacesuits, astronaut food, cool space stuff! A great play helmet, styled like a US firefighter's hemet. 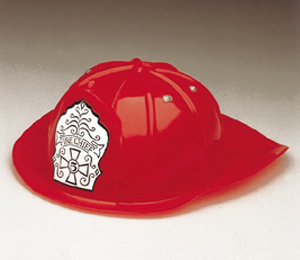 The helmet is adjustable for a good fit, and features a silver-coloured "Fire Chief" badge decal.